Sometimes our week feels like a crossroads between long work hours and frustrating commutes, leaving us wondering: “Where did the time go?” There isn’t always enough time in our day to Netflix and chill, let alone make healthy meals for our family. 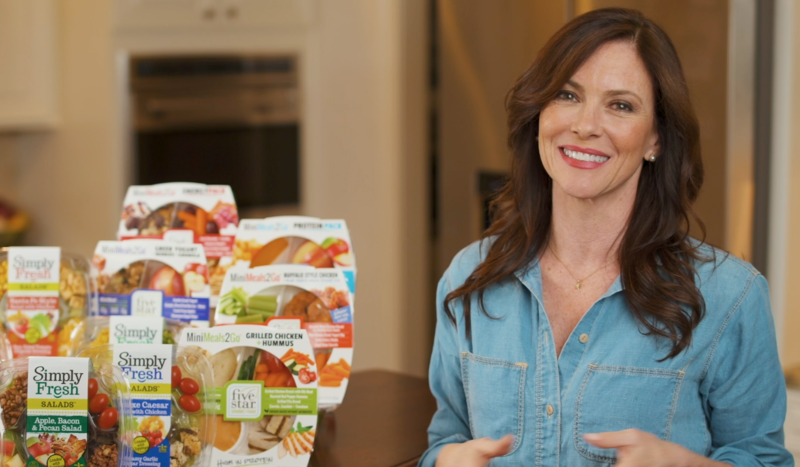 Although prepared food at the supermarket may save time, not many pre-packaged meals are known for their healthy ingredients—which is why the Farm Star team is excited to introduce families to the Simply Fresh product line by Five Star Gourmet Foods. Passion for Food: As a company founded by a chef, it's not surprising that recipes are approached with great care and creativity. 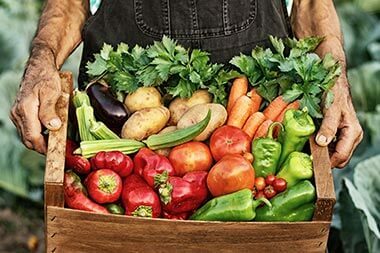 Farm to Table: Their proximity to growers on both coasts allows them to gather farm fresh produce daily! Culinary Expertise and Creativity: Certified Executive Chefs and a Culinary “Olympic Team” test, taste and perfect every recipe. Outside of the kitchen, the company is making the earth healthier as well by focusing on reducing their packaging, energy and water use through a variety of programs. Starting with the packaging around the products, they reduced all salad packaging by at least 60%! They also encourage the use of recyclable materials for their own innovative packaging needs as well as those of their suppliers. Currently, they recycle over 250 tons of packaging materials annually. Their patented food containers are made from recycled plastic water bottles. They have used over 100 million recycled plastic bottles. Talented chefs and seasoned professionals are determined to save customers time while bringing “restaurant quality” to every bite. They prepare the individual ingredients—simmering sauces, cooking and seasoning fresh meats, and chopping fresh vegetables—so that when you bring Simply Fresh products home to your family, you’re guaranteed a delicious, wholesome, high quality experience. 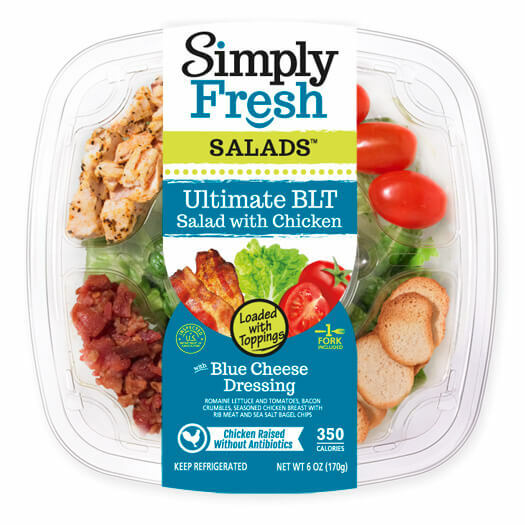 Each Simply Fresh product consists of a healthy balance of carbohydrates, fats, and proteins, not to mention fiber from whole grains, fruits, vegetables, and/or legumes. “Freshness sealed” premium toppings, antibiotic-free meat, and no artificial flavors means freshness to fork is guaranteed! Add these delicious, nutritious products into your family’s healthy life goals without sacrificing precious time. Let’s eat!